Playwright Nicholas Harrison combines elements of horror, hope and humour in his one-man show. Photo by Flick Harrison. How Star Wars Saved My Life is an empowering true story of courage from an adult survivor of childhood sexual and physical abuse by priests. Written and performed by Nicholas Harrison, the play reveals how Star Wars was integral to his ability to cope with abuse, giving a sense of hope that good can triumph over evil. Through the play, the silence surrounding this taboo topic is challenged and ultimately shattered. 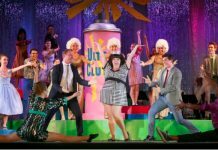 By confronting the issues around abuse, both theatrically and with moments of appropriate humour, it also helps to reinforce the fact victims are not responsible. We find out more in this Q&A with Harrison, and director, Valerie Methot. This interview has been edited and condensed. It was originally published on OUTtv on November 4 and is reused with permission of the author. What has been the most important thing to remember while developing this show? Harrison: Perhaps the biggest thing for me was to make sure I had a safe environment to explore and share. The events of abuse are traumatic and revisiting that trauma can really mess with my emotions and well being. Thankfully I have a great team of people, from Valerie, Ken, Elyse and my regular therapy and doctor appointments. I am lucky and blessed that my health care workers encourage and support my healing and journey through this platform. Methot: There have been so many important things for me to remember while developing this show. Number one is that Nicholas feels safe in the working environment and with the material. I also check in with myself on a regular basis making sure that I have a safe boundary with the material. No one deserves to go through what Nicholas did as a child, so it’s important to me that this is an art piece used as a tool to promote awareness and prevention to child abuse. The power in Nicholas’s resiliency and the commitment from the production team in all aspects of this play is what makes this a truly inspiring work of art. There is always a challenge when dealing with a trauma in drama that it feels like a documentary and not a story. How are you balancing that? Harrison: Having the safety to stop when I need to, and also being able to continually check in with my therapist has been a great asset. Methot: For me it was clear from the start that this play had to reveal how Star Wars saved Nicholas’s life. As the dramaturg working with Nic for almost four years, the journey of the script moving towards story telling with a balance of humour, fantasy with the serious parts was quite natural to achieve. Nicholas’s talent and ability as an actor makes the play very engaging. The story is mesmerizing, with a strong message. Do you focus on the Star Wars of your childhood or are all the sequels and prequels touched on? Harrison: Primarily the original trilogy, mainly Star Wars and The Empire Strikes Back, with a touch of Rogue One and The Force Awakens. There is no room for Jar Jar in my show. What do you want the audience to take away with this show? What will they experience? Harrison: I want the audience to feel empowered. This is a story of hope through crisis and trauma and I would love this show to be a catalyst for conversation. If people can start talking openly about such subjects, it provides victims and survivors the ability to feel safer to share their stories, and all stories of survival and abuse are important to share. The show has elements of horror, hope and humour. It is an important presentation, not only artistically, but through the message it provides. Methot: I want the audience to be aware that child abuse happens, how the abusers try to get away with it and the importance of prevention. I hope this becomes a topic easier to talk about so that we can move forward and try to stop child abuse. I believe too much power has been with the abusers over time in the silence of the topic. I hope the audience will be moved into high alert looking out for the safety and well-being of children. I believe in the importance of a community looking out for children. They are vulnerable and need to be cared for, heard and respected. The audience is going to experience an important brave play that is inspirational, moving, horrifying at times, humorous at times and motivating to be the best, loving and kind warriors we can be for the sake of the children. 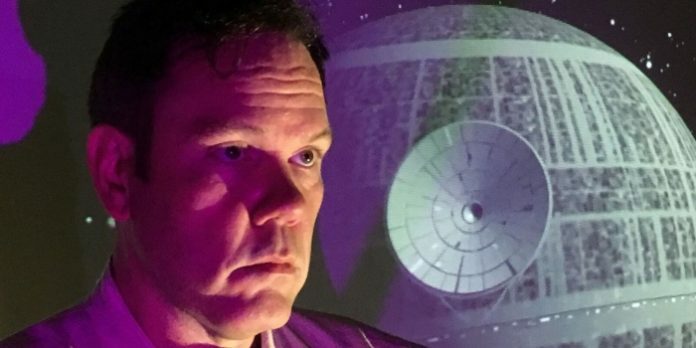 How Star Wars Saved My Life plays Performance Works on Granville Island from December 6-10. Visit http://starwarssavedmylife.com for tickets and information.